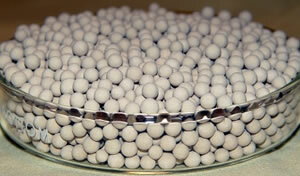 ADSORBENTS & DESICCANTS – Tailored to your application. 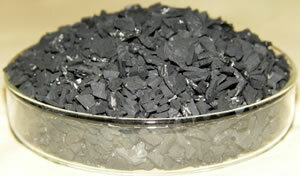 Adsorbents – Molecular Sieves, Activated Alumina, Silica Gel, Activated Charcoal, Activated Clay and Super Siloxane Adsorbent Silica Gel provide an extremely high rate of adsorption and are most commonly used as desiccants. 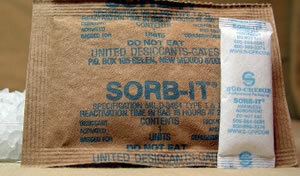 Desiccants in pre-packaged bags include: Desi-Pak I & II® and Desi-Pak Tyvek® are filled with Activated Clay; Getter® with Activated Charcoal; Sorb-it® with Silica Gel; Tri-Sorb® with Molecular Sieves. 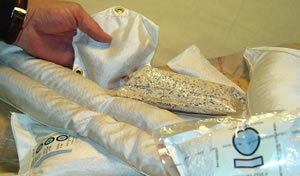 Circuit Breaker Desiccant Bags are also filled with Molecular Sieves and can be custom made to fit your application. 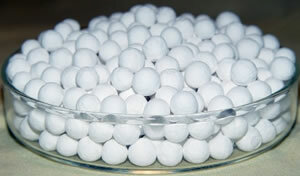 ADCOA specializes in Bagged Desiccants. 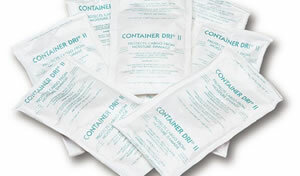 Container-Dri II® is used to reduce RH (Relative Humidity) where an airtight seal is not possible, such as in a storage shed, for storing a car, boat or RV. Orange to Green Silica Gel Grade 50 is considered environmentally safe. 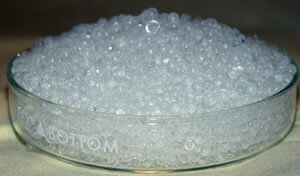 Silica Gel Grade 50 is the only acceptable Moisture-indicating Silica Gel approved for shipping into many European countries and is becoming more and more popular in the US and around the world. ADCOA stocks a full line of Moisture-indicating desiccants. Blue to Pink: Type 4A Moisture-indicating Molecular Sieves; Grade F-6 Activated Alumina; Silica Gel Grade 41; Silica Gel Grade 42; Silica Gel Grade 43 and Silica Gel Grade 48. Orange to Green: Silica Gel Grade 50. 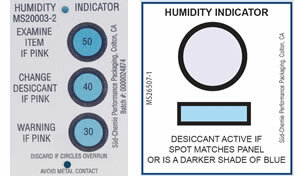 If using a non-indicating desiccant, find a selection of Moisture-indicating cards in our catalog.